Kids love triathlon, so do we. The Protégé Tri Top is packed with little features that make a big difference. The sublimated Italian fabric provides a comfortable fit while managing moisture. Two back pockets allow for nutrition storage. Reflective details and UPF 50+ sun protection add a perfect touch. When kids have the right equipment, any activity is more fun. Outfit your budding athlete in Zoot's Protégé Run Singlet and encourage them to get out and run! When kids have the right equipment, any activity is more fun. Outfit your budding athlete in Zoot's Protege Tri Tank and encourage them to get out and be active! It's built to last throughout many triathlons and training sessions, keeping your child cool, dry, and comfortable. The Protege Tri Tank was developed with big Zoot quality for the little triathletes. 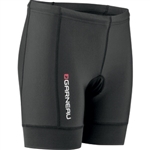 Performance Endura fabric to help you stay dry and comfortable and SeamLink stitch construction that ensures next-to-skin comfort and minimizes chafing. It's never too early to develop a love of triathlon.